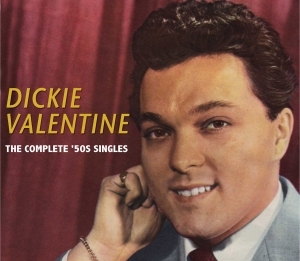 Back in the 1950s, before rock ‘n’ roll changed the face of pop forever, a handsome British crooner had an adoring army of female fans swooning as their romantic hero – he was, appropriately, called Dickie Valentine, and for most of that momentous decade, his popularity saw him topping the charts as well as the bills of variety shows around the country, and he was regularly voted Britain’s favourite male vocalist. This collection brings together every single he released during the ‘50s, plus the bonus of his original 1949 recording with Ted Heath not released until the ‘80s. Although he died tragically young, he retains his reputation one of the best British crooners of his generation, and this anthology will bring back memories of that particular golden era.